(16/P92) TRENTON – Life during wartime as seen through the eyes of Union soldiers will be the focus of the annual Civil War Living History Weekend this Saturday and Sunday, Oct. 1 and Oct. 2, at Long Pond Ironworks State Park in West Milford, Passaic County, Department of Environmental Protection Commissioner Bob Martin announced. 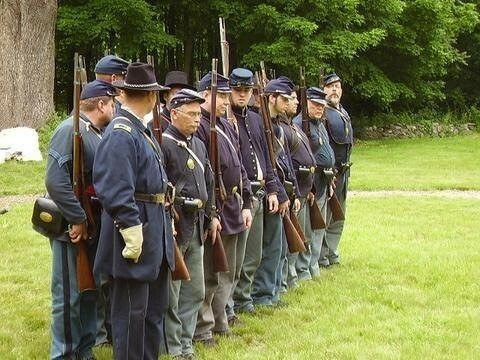 The event, co-hosted by the Friends of Long Pond Ironworks and 6th New Hampshire Volunteers re-enactors, will provide hourly camp life and military demonstrations by Union Army re-enactors from 11 a.m. to 5 p.m. on Saturday, Oct. 1, and from 10 a. m. to 3 p.m. on Sunday, Oct. 2. A donation of $5 per adult and $1 per child is requested. Proceeds will benefit restoration and interpretation at Long Pond Ironworks. The property is on the State and National Registers of Historic Places. “Seeing how soldiers lived during wartime is an important window through which we can learn more about our history, particularly at Long Pond Ironworks, which produced iron for the Continental Army in the American Revolution and for the Union Army in the Civil War,” said Mark Texel, DEP’s Director of Parks and Forestry. “Long Pond Ironworks is just as important today with its focus on educating visitors about New Jersey’s place in military history. “In addition to appreciating the rich history of this historic site, visitors to Long Pond Ironworks State Park can see how the park has transformed over the years to a beautiful property filled with forests and a river that cascades over ancient rock formations,” Texel added. The 6th New Hampshire Volunteers was one of the only regiments to fight in all theaters of the Civil War and return with their original regimental colors. During the weekend event, the Union camp will be open for visitors to tour. Re-enactors will offer demonstrations on military drills, a day in the life of a soldier, and give talks on various aspects of the war and being a soldier. "Visitors will want to come to Long Pond Ironworks because the 6th New Hampshire Volunteers bring the Historic District to life for the weekend, with educational activities and demonstrations of camp life during the U.S. Civil War,” said Susan Deeks, a member of the Friends of Long Pond Ironworks Board of Directors. “Though no battles were actually fought as far north as Passaic County, West Milford still played a crucial role in giving the North its munitions advantage over the South. Visitors who come to the annual Civil War Weekend can see firsthand the iron blast furnace where the very first American gunmetal was made by Cooper, Hewitt & Company." At 8 p.m. Saturday, the Friends of Long Pond Ironworks will offer a guided Candlelight Tour through the 175-acre Long Pond Ironworks Historic District, which is an example of the ironworks plantations established in the American Colonies prior to the nation gaining its independence. The village and furnaces at Long Pond produced iron for the Continental Army, for the American forces in the War of 1812, and for the Union Army during the Civil War. 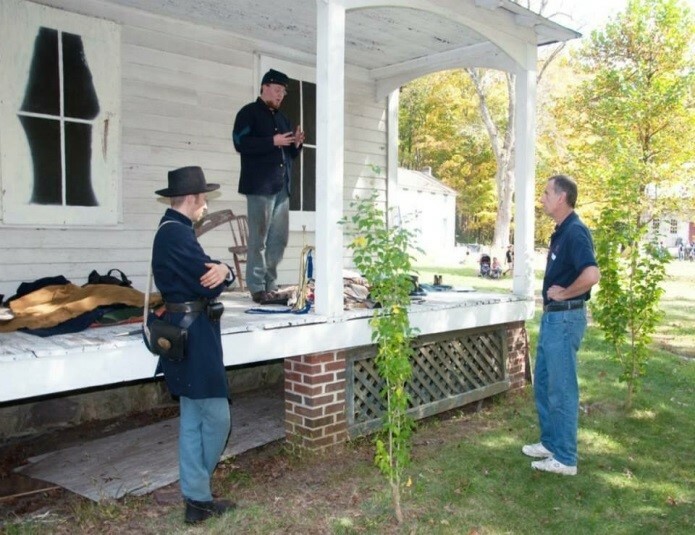 The tour will provide a glimpse of village life and Civil War military camps at night. Musicians with the 6th New Hampshire Volunteers will perform 19th Century music as a highlight of the tour. Advance registration for the Candlelight Tour is required and space is limited. Tickets are $10 per adult and $5 per child. Children under 12 years of age will not be admitted. To make a reservation, call (973) 657-1688 and leave a message with your name, tour time, number of tickets, and telephone number in order for your reservation to be confirmed. This project is funded, in part, by the Passaic County Cultural and Heritage Council of Passaic County Community College, made possible, in part, by funds from the New Jersey State Council on the Arts/Department of State, a partner agency of the National Endowment of the Arts. The 175-acre Long Pond Ironworks was founded in 1766 and operated continually until 1882, making iron for a wide range of purposes. The ironworks is listed on the State and National Registers of Historic Places and has been designated a National Historic Landmark. Today, the ruins of three furnaces and other unique structures remain within Long Pond Ironworks State Park.